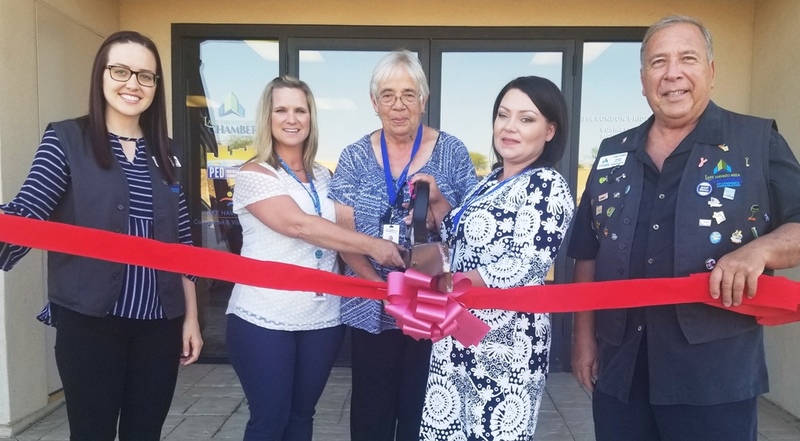 The Lake Havasu Area Chamber Ambassadors held a ribbon cutting ceremony for Living Waters Hospice to celebrate its new Chamber membership and expansion into Lake Havasu City. 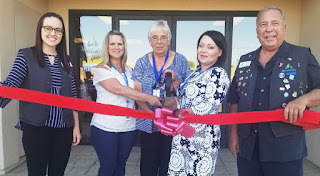 Living Waters Hospice is a faith based Hospice serving all of Mohave County, providing you and your family with a team of Nurses, CNAs, Pastors, Social Workers and Volunteers to assist and comfort those facing a life-limiting illness. Please call heather Roatch at 928-208-8686 to answer your questions regarding Hospice Care. Attending the ceremony from left to right were Shawna Stackhouse, Bobbi Prestia – Volunteer Coordinator, Sue Skelly – Chief Administrative Officer, Heather Roatch – Outreach Coordinator, and Tom Otero.